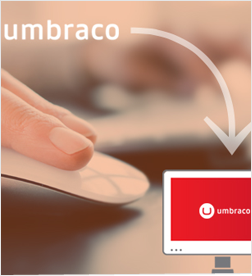 Harness the Power of Umbraco! Get a Powerful, Robust, Feature-rich and Scalable Custom Umbraco CMS website/application built cost-effectively. Technousa is one of the top offshore custom Umbraco development companies in the world. We serve clients across the globe with a major focus on USA, Europe and Australia. Dot net is one of our core areas of expertise. As you may know, Umbraco is a Dot net based CMS, and our highly experienced and skilled team of Umbraco developers has exhaustively worked on Umbraco projects. Our team has a track record of successfully completing and delivering several Umbraco projects cost-effectively. Yes, being one of the few top offshore Umbraco development agencies in India, we are in a position to offer you top-notch custom Umbraco development services cost-effectively. You'll save a lot of cost without any compromise on quality. 100+ loyal clients spread across 31 countries are a testament to the quality of work we do. Umbraco is one of the major open source .NET content management systems (CMS) in the world. It is also one of the most powerful, flexible and user-friendly content management systems available today. Umbraco offers a range of powerful and user-friendly features and it also allows easy integration – no wonder Umbraco has been one of the widely used CMSes. Some of the world's largest brands like Microsoft, Costa, Peugot, Heinz, Ford, Sony, Sandisk, Rebook, Volvo etc. run on Umbraco. 400000+ sites across the world are on Umbraco CMS. This full-fledged CMS has the flexibility to run simple websites to complex, enterprise-grade applications. Simple word-style editor loaded with user-friendly features like Publish Scheduling, easy editing option etc. Great community Support and more. We are Umbraco Experts. Our team has 9+ years of hands-on experience working on Umbraco Projects. Proven Track Record - Our Umbraco developers/consultants have in-depth knowledge and hands-on experience handling Umbraco projects – they are capable of providing the right custom solutions for your unique requirements. Technical Capability - If you can imagine it, we can build it! We are capable of successfully building simple websites, mobile apps to complex enterprise-grade applications with Umbraco. One-stop shop – we offer end-to-end Umbraco CMS development services & solutions. Get a highly customized, user-friendly, fast-loading and highly responsive Umbraco website or application built cost-effectively.